She came over as two dirty little robots stepped inside. Flashing sad emojis, they snatched the batteries she handed out. I love this Jason. 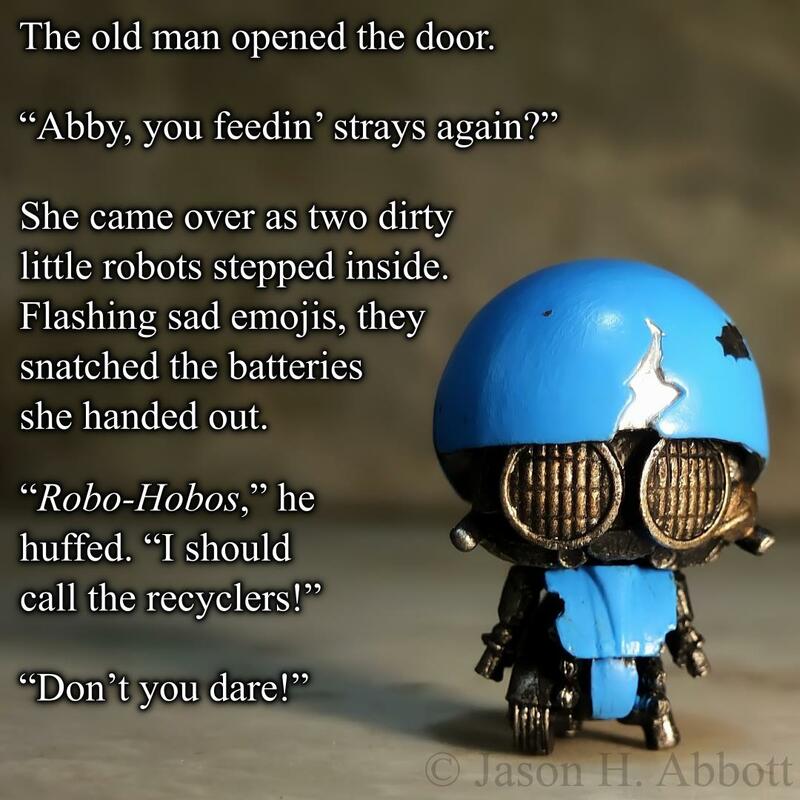 Little robo-hobos, so sad and sweet, I’m sure they’re what we’d call ‘scallies’ though!